This is just short insight as short as my trip and time to explore it. 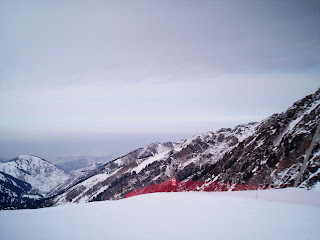 Just what I saw in Almaty and could capture with photo camera on mobile phone. 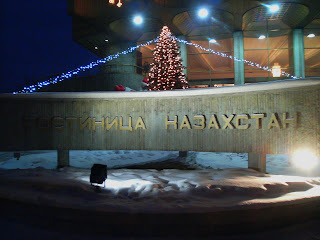 Entrance of the Hotel Kazahstan. It is all right. 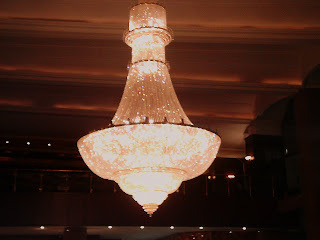 Reminds hotel "Latvia" in Soviet times in Riga but is OK - warm and safe. Big and beautiful lustra in the lobby of a hotel. What was surprising me immediately - very very big number of SUVs or jeep cars. Much much more than in Riga (The Capital of Latvia). 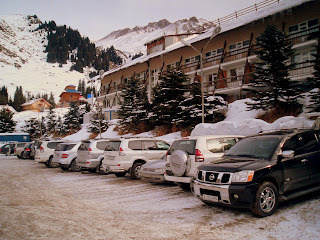 Like in photo - it is regular parking place somewhere around Almaty. Most favourite are Toyota Land Cruisers and Prados. Currently there is a nice winter in Kazahstan. Snow is there but could be more as locals says. This is famous singer in Kazahstan. Will try to meet him.